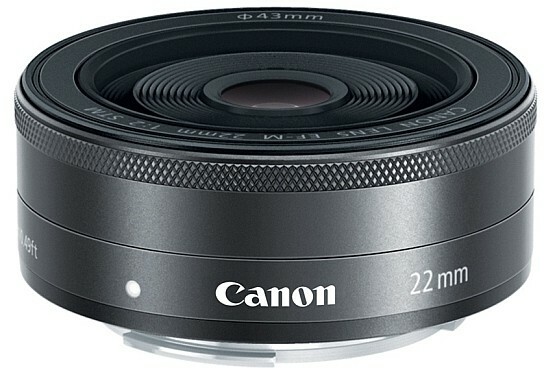 The Canon EF-M 22mm f/2 STM is a new moderate wide-angle lens for the Canon EOS M compact system camera. With a diagonal angle of view of 63°30’, the Canon EF-M 22mm f/2 STM lens is equivalent to a 35mm optic on a full-frame body. The optical formula comprises 7 elements in 6 groups, including one aspherical lens element, and an iris diaphragm with seven rounded blades. The Canon EF-M 22mm f/2 STM has a close-focus point of 15cm, maximum aperture of f/2 and a 43mm filter thread. The lens will be available from October priced at £229.99/€273.99 RRP including VAT.